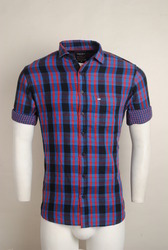 Our product range includes a wide range of purple checked urban design casual shirts and plain shirt. With the help of talented professionals and exceptional technology, we are offering our clients a variety of Purple Checked Urban Design casual shirts. 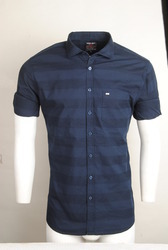 Leading manufacturer of casual shirts such as designing casual shirt, printed casual shirts, blue check casual shirts, reversible shirt, strip shirt, checked shirt, small check casual shirt, fabric casual shirts and men colored casual shirt from Chennai.